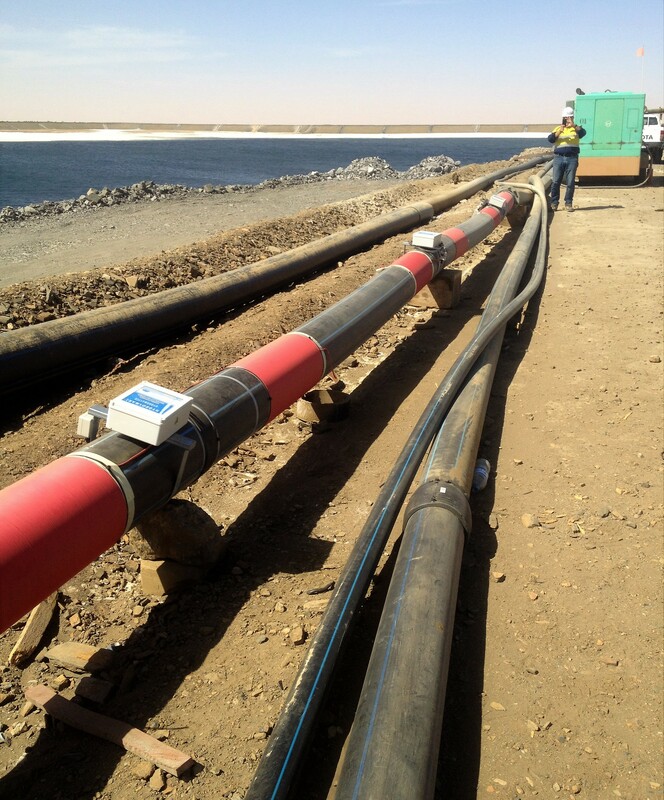 Hydrosmart has been used at Kinross Gold Tasiast Mine, Mauritania sinse 2016. On a 280 mm pipe being protected by one Hydrosmart system 280 Minemaster for 7 Kilometres of pipework. Prevention of Ferric Cyanide build up at a gold mine, with no chemicals needed, with just 15 watts power draw. And have recently purchased Hydrosmart system 355 Minemaster, after upgrading to a larger 355 mm line size. Using Hydrosmart has been very successful in preventing scale build-up in the pipe work, used at the leach ponds. Kinross Gold Tasiast mine is an open-pit operation located in northwestern Mauritania, approximately 300 kilometres north of the capital Nouakchott. Tasiast processes ore via mill and dump leach. Work continues on enhancing the performance of the existing mill and optimizing the operation. Construction of the Phase One expansion project at Tasiast is now complete, first ore has gone through the SAG mill, and the project has been transferred to the Operations team. The CIL plant, primary crusher and conveyor are fully commissioned and the SAG mill is in the final stages of commissioning. Throughput at the expanded plant has continued to ramp up and has peaked at 12,000 t/d. Phase One is expected to significantly reduce operating costs and increase production. Three ponds adjacent to each of the two pads are provided for storage and management of the barren, intermediate and pregnant solutions. At each of the two pads, barren solution is pumped from the barren pond to irrigate the heap. The first drainage collection of “intermediate” solution is collected in a pond, then pumped to another section of the pad to contact freshly placed ore. The resulting drainage is captured in the pregnant solution pond adjacent to each pad and pumped at a controlled fixed rate to the ADR plant for gold recovery. Make-up water is added to the systems from the raw water pipeline system connecting the bore field with the CIL (carbon-in-leach) mill. At each of the two pads, barren solution is pumped from the barren pond to irrigate the heap. The first drainage collection of “intermediate” solution is collected in a pond, then pumped to another section of the pad to contact freshly placed ore. 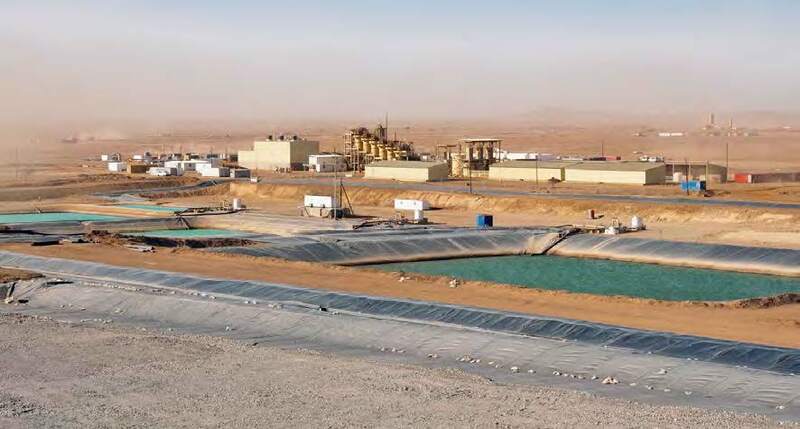 The resulting drainage is captured in the pregnant solution pond adjacent to each pad and pumped at a controlled fixed rate to the ADR plant for gold recovery. 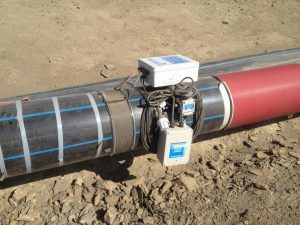 Make-up water is added to the systems from the raw water pipeline system connecting the bore field with the CIL mill.